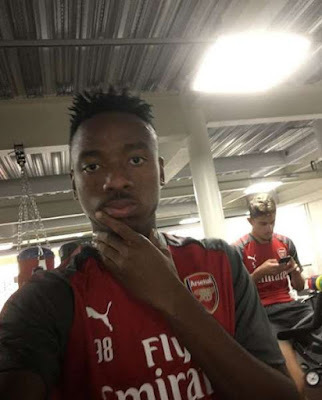 Arsenal youngster, Kelechi Nwakali, has been handed jersey no. 25 at Dutch top league side VVV Venlo after he personally requested for it as a tribute to his boyhood hero and ex-Arsenal star Nwankwo Kanu.. According to Scorenigeria.com.ng, officials have revealed that the the Nigeria U20 skipper has also generously donated $240,000 to his academy, ASJ of Eziobodo, near Owerri..
Nwakali, who captained the Nigeria’s Golden Eaglets to a FIFA U17 World Cup triumph in Chile, two years ago, is on loan at VVV Venlo from Premier League side Arsenal.